Welcome to Mantua Books Ltd.! Mantua Books Ltd. goes beyond political correctness and moral relativism to enlighten our readers on the great ideological issues of our times. 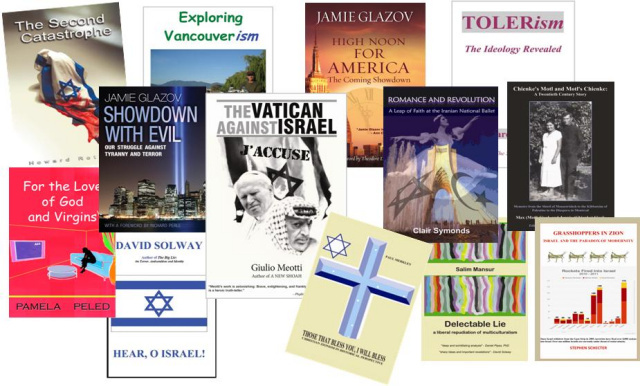 A small and growing publishing house based in Canada, our interest is in books which explore current values and ideologies, and rise above political correctness and the restrictive ideologies of moral and cultural relativism. We seek books that go beyond the headlines to explore the underlying values and ideologies that explain current politics and culture wars. We are a conservative publisher with our books most often dealing with ideologies and values. We also support "classically liberal" values. Our values are based on biblical values of justice, both as to individual civil rights and dignity, and as to social justice. We are not a religious publisher as such, but we identify with the Judeo-Christian values of responsibility for individual actions, justice, and the need to improve the world. We oppose cultural and moral relativism, and the notion of escaping personal responsibility by blaming others. We support free expression that meets appropriate standards of truth and intellectual diligence, even if that expression is found offensive by supporters of totalitarian regimes. We support a renewed feminism based on advocating the rights of women all over the world, regardless whether that support offends totalitarian or religious-based oppression of women. In addition to our main imprint Mantua Books Ltd., we have also published under the imprint of CanadianValuesPress, and Miriam's Legacy Publishing. We welcome submissions from authors who are attracted to our mission.